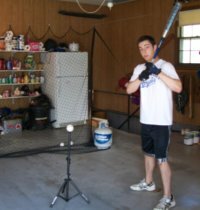 You are here for pitching tips so let's get started. The first tip is about “throwing bullpens”, which just means pitching to an empty batters box. All you need is the pitcher, catcher and a coach or parent. 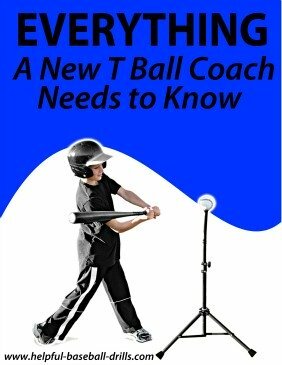 You don’t really need the coach or parent, but it sure helps if they can make any needed adjustments to the pitcher’s delivery. 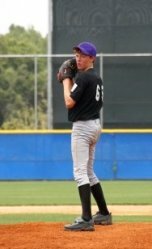 If the pitcher is new or fairly new to pitching, it might help to get a batter to just stand in the batters box. He certainly should be wearing a helmet, but he doesn’t even need a bat, because he should not be swinging. 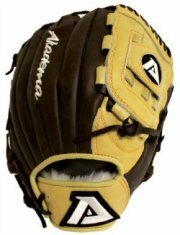 This helps keep the pitcher focused on his control. Like everything else, there is no substitute for doing the real thing. 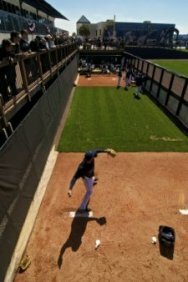 Bullpens can be anywhere from 20 to 40 pitches, depending on how soon the pitcher is expected to pitch in a game. Since pitchers have to watch how much they throw, there needs to be a plan for each “bullpen” and the pitcher needs to stay focused on it. Maybe he is learning a new pitch and needs to work on it, or maybe he needs to work on locating his off speed pitches. Just be sure there is a plan and work that plan. If pitching is something new to you or your son, it might be a good idea to first try pitching from the stretch. This is how pitchers pitch went runners are on base. But, since there is less motion to learn in pitching out of the stretch, it is ok to do it when no runners are on. So go ahead and pitch from the stretch until you are comfortable using a windup. The second drill to work on is long toss. And like all little league pitching drills, there are people who swear that long toss will help prevent arm injuries, and there are people who say long toss will cause arm injuries. I base my recommendation on the actual experiences I have seen with my sons and their teammates. They all played long toss and few if any had arm injuries. And when I say long toss, I mean they would spread as far apart as they could throw. Many people suggest going no further than 120 feet apart. And I’m sure that is better than not throwing long toss at all. But I do believe in letting them air it out at the end of a session. Players should warm up as usual before this drill, meaning stretching and running. Then they play catch as normal. But once their arms are warmed up, they start moving farther apart. They should stop and make 5 or 6 throw at each distance. About 5 different stops will be enough. Then, once they are done with the longest distance, they should come back together and play a short version of catch for a few minutes. This is the cooling down period. I also believe they should run for about 15 or 20 minutes when finished. Long toss is a drill that is done before the start of a season. Its purpose is to build up arm strength. Once you start playing games, there is little time for long toss. The last little league pitching drill is something that all baseball players need and that is workouts. Did you notice I said workouts, not lifting weights? The only lifting of weights should be with your legs. All other drills or exercises should be about speed and endurance. Find a good trainer that uses resistance bands to get you started. Then work hard to get into the best shape you can be in. A trainer once told me that the best prevention of injuries, even pitching arm injuries, is being in good shape. If your muscles are tuned, they will help you perform better and help keep you free of soreness and injuries.